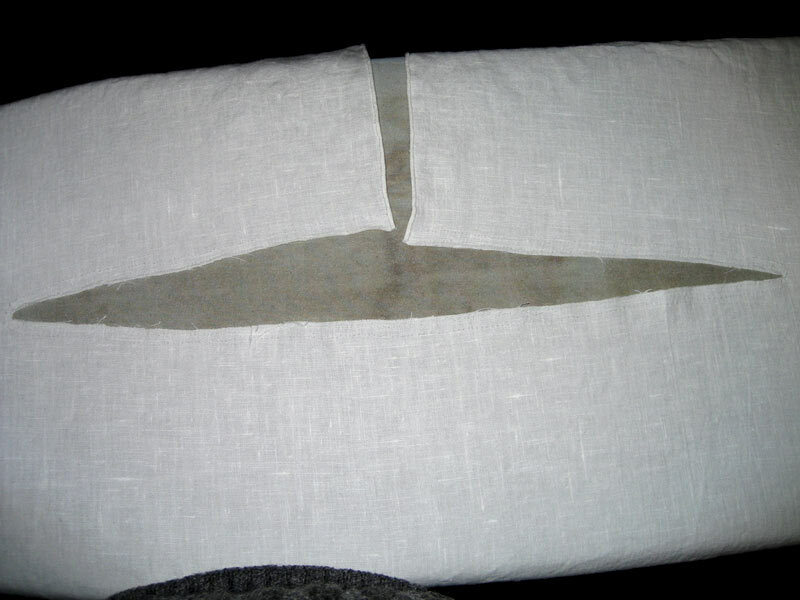 I've started work on the Regency shirt. 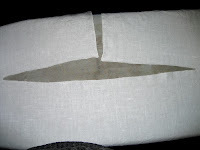 I'm making it with 5.3 oz linen (from fabrics-store.com) which, even after 2 washes, seems a little rough, but I imagine it'll soften up with time. 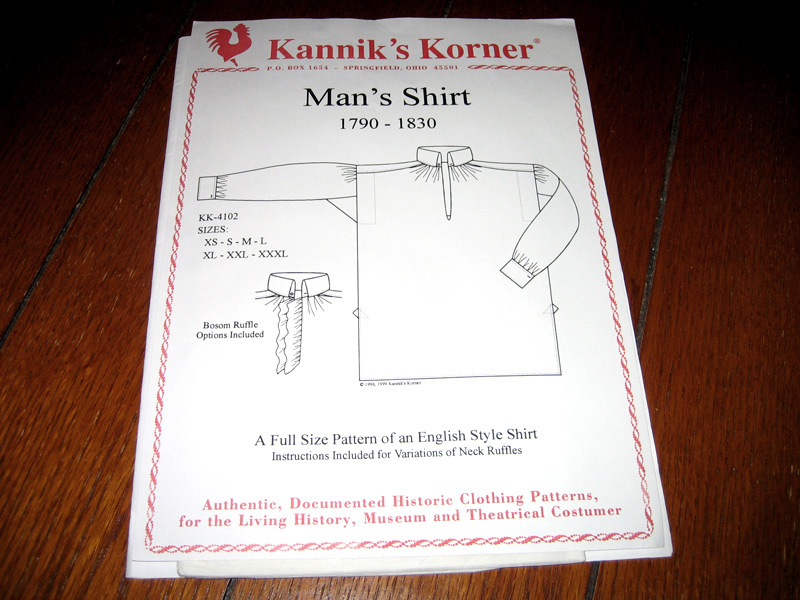 I've had this Kannik's Korner shirt pattern since my wife told me I'd look dashing dressed as Mr. Darcy, but haven't used it in the intervening four years. 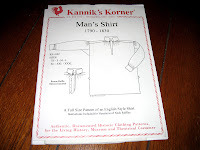 After using the trousers pattern for my last project I found that I really like the Kannik's Korner patterns. 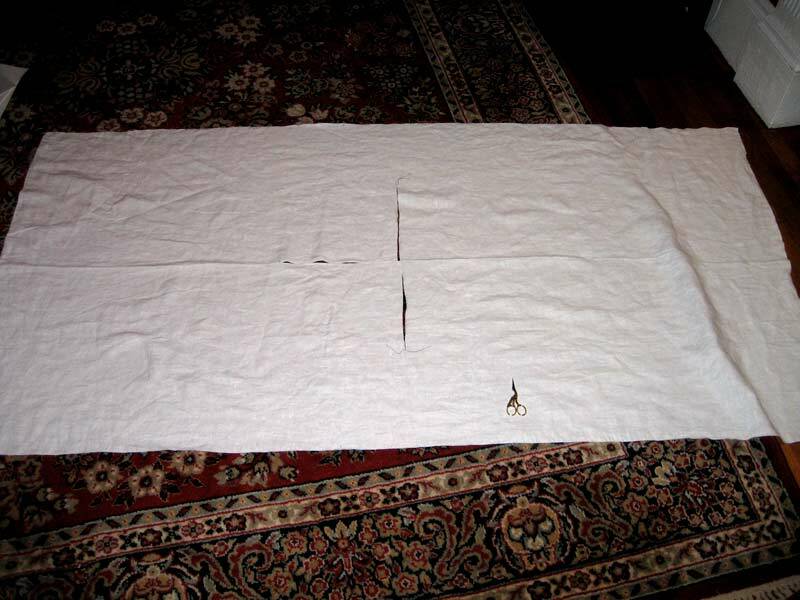 Not only do they have wonderful, detailed directions, but they assume that you'll be sewing the whole thing by hand, which is just what I want to do with this shirt. The pattern is just a little late for my Scarlet Pimpernel outfit, but I figure it'll mostly be covered by the waistcoat and coat, so it won't matter too much. 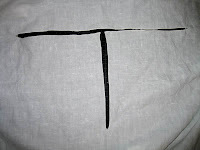 I began by using the "pulled thread" method to measure for cutting, but either I'm doing something wrong or just don't have the hang of it yet, but it took a long time to pull the threads. I'll have to work on it some more. I pulled threads for the main body of the shirt, which is gigantic (see right), but just cut the rest with my cutting wheel with the pattern layed on the fabric. 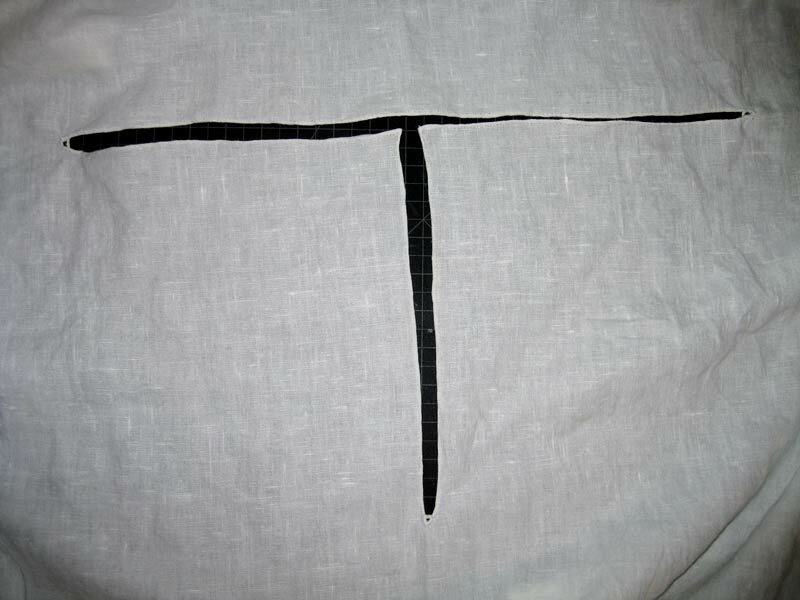 Here you can see the slit cut for the neck in the centre of the body. 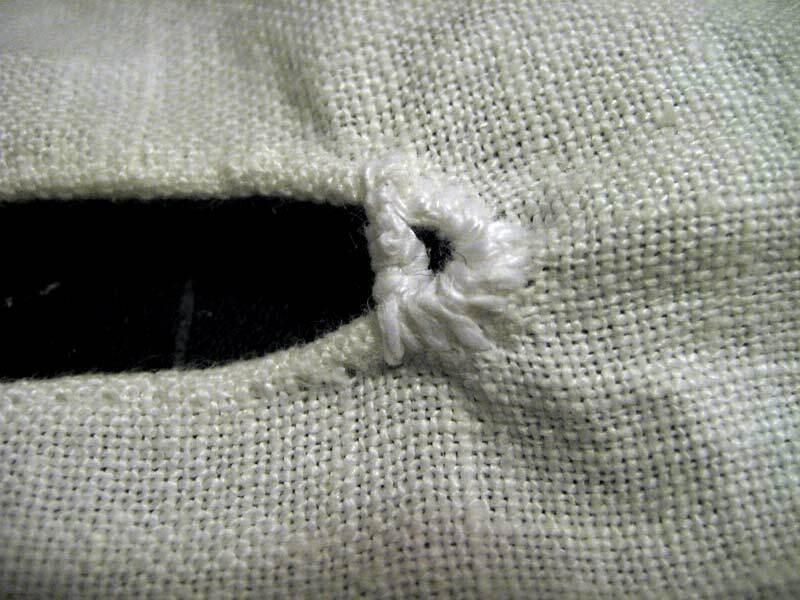 Following along with the directions, I was instructed to sew a rolled hem along the bosom slit, and reinforce the ends of the slits with what are basically bar tacks on steroids - a half-circle of buttonhole stitches with the bar tack across the front of them (see below). Then I read the directions again, and realised that when they said "roll hem the bosom slit" they didn't mean the entire neck opening, and just the slit - the upright part of the T. So I unpicked all of the rest of my stitches, made more difficult by the awesome bar tacks I'd put in both ends of the slit, and ironed the opening flat again. All in all, the raw edges didn't end up too bad considering I'd been handling and rolling them.